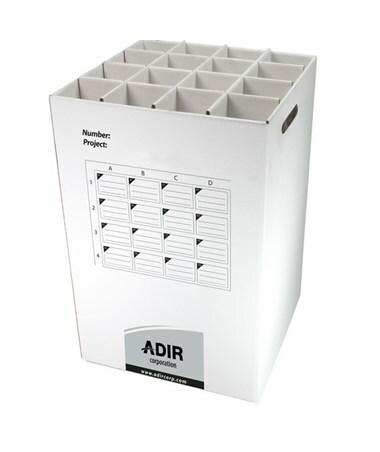 The Adir 16-Tube Storage Roll File is an economical, compact way of storing blueprints, maps, and other large-sized documents. 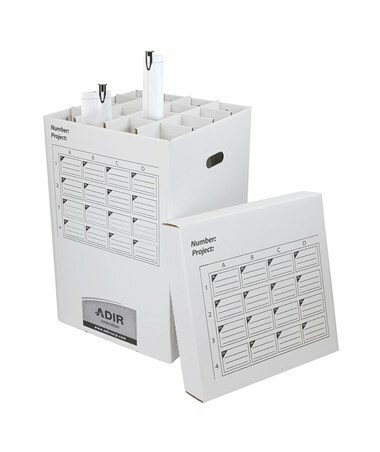 It provides 16 compartments that will hold your large files with a 3-3/4 inches rolled diameter. 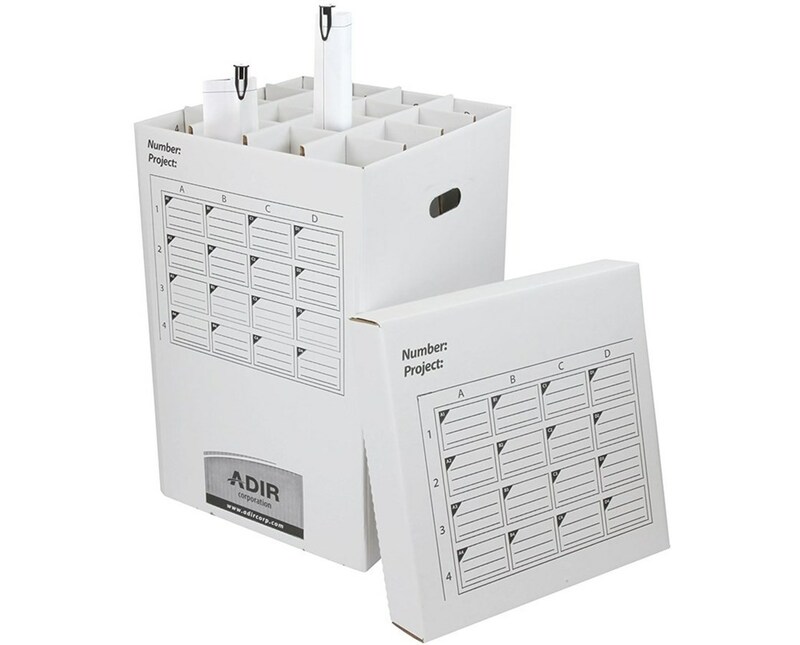 For easy file tracking, it features a labeling grid. 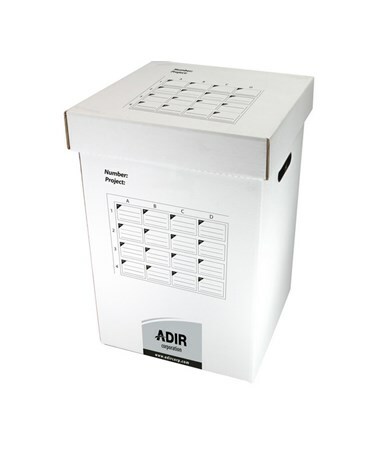 This storage roll file is made of corrugated white cardboard with a reinforced bottom for extra strength. To give more protection for your files, it comes with a long lasting cover. This file is also stackable to give more storage space. 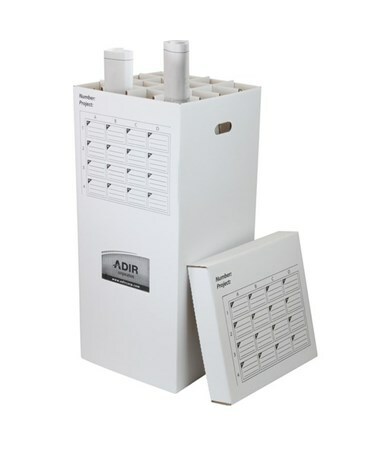 The Adir 16-Tube Storage Roll File comes in two sheet lengths - 25 inches and 37 inches. Please choose from the drop-down menu above.